Derek Graf (right) connects with a customer on site in Kamloops, B.C. Photos courtesy Waratah. 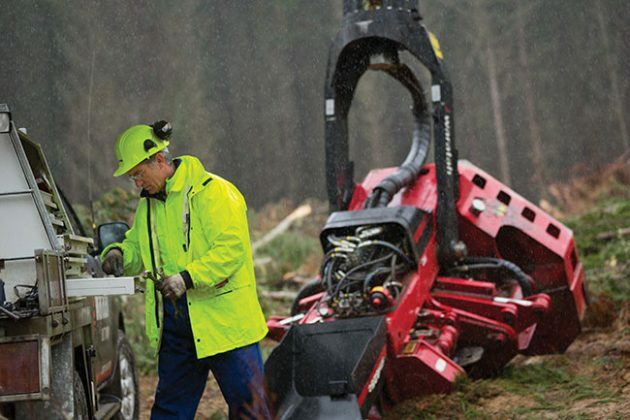 When harvesting and processing wood, your harvester head will likely encounter a variety of applications, wood sizes and species. Harvester heads should be built tough to handle the workload each day and keep your operation highly productive. That said, there are some basic maintenance procedures you should carry out to prolong the life of your harvesting head. Start with the basics. Ensure that you have read and understand all safety precautions before undertaking any maintenance or fault-finding procedures. Performing maintenance when you’re not clear on the safety precautions could damage your machine and, even worse, lead to personal injury. Lubricate each grease point daily using a multipurpose extreme pressure grease. On Waratah heads, all grease points are highlighted with yellow paint. Check all hardware and retaining bolts for security and tension. Inspect all hoses, fittings and valves for oil leaks. Keep chains sharp and the chain-oil tank full. Visually inspect the machine for wear and loose components, and inspect all hoses, fittings and valves. A technician performs maintenance on a Waratah harvester head. Technology, such as that in Waratah’s TimberRite H-16, provides a lifeline for obtaining technical support through remote login assistance. 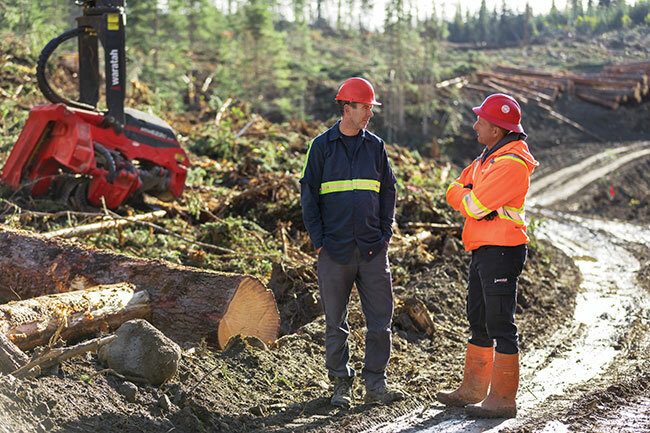 Activation of the RDA session provides a communication link between the technician and the machine operator, allowing the technician to remotely perform diagnostic and adjustment procedures within the TimberRite H-16 automation system. Note that the operator is responsible for the safety around the machine during the RDA session. While an RDA session is live, the operator functions within TimberRite are limited, and the operator will have to close the RDA session to restore all on-board commands. By performing basic upkeep on your harvester and processing head, you can help extend its life and productivity. Derek Graf is the Western Canada manager of product support and sales for Waratah.